We had fun last Sunday singing with Zacchaeus, sharing a meal and carving/decorating pumpkins. Nearly everyone left with crazy creation. Thanks to Judie Dodson for bringing ideas and great creativity to the project and to all who helped set up and clean up. Monday evening pastor Gregory, Charlotte Jackson, Carolyn Shepard, Chip Clark, and Alex Russo stood (or sat ) watch at a table in front of the church, greeting trick-or-treaters with candy, water, punch, and fun. Our neighborhood was crawling with kids of all ages in an in credible array of inventive costumery. All reports are that it was a big hit. Thanks to everyone who worked hard on these events. This Sunday will be more sedate. Traditionally, we have called this Gratitude Month. It not only involves our stewardship emphasis but also our annual drive for funds and food for Ecumeincal Hunger Program in East Palo Alto. We need your open-hearted and generous giving to sustain the life of out congregation and its many ministries. In addition, this year we will include a Time and Talent form which will ask some questions about where you volunteer, where you might want to volunteer, and what volunteer opportunities we might be missing in our life together. In Adult Spiritual Formation, we will return to the fine video series, “Saving Jesus Redux,” asking the questions, “What Can We Know about Jesus (and How)?” Afterward, there will be a family trip to the trampoline center. Let Pastor Gregory know if you’re interested. Come at 10:00 AM for worship, education, and family fun. Join in the joy of the day and the fun of the season. Invite someone to share in it all. See you Sunday. 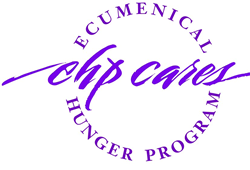 The Special Mission Offering for November is for Ecumenical Hunger Program. Our church has been involved with this very worthwhile program for many years by contributing food, clothing and other household items. Church members volunteer their time, and we give monetary support through this annual offering. We’ve received $710 toward our goal of $600. In addition to the special offering, we are again collecting turkeys, hams, roast or whole chickens as well as other items as part of November’s gratitude focus. We’ve received $695 toward our goal of $600. We’ve received $520 toward our goal of $600. Perishable vegetables and fruit and any non-frozen turkeys can be brought to the church on Friday, November 20th before Noon. We’ve received $190 toward our goal of $600. This year is the 40th anniversary of the association between the First Baptist Church of Palo Alto and the Ecumenical Hunger Program (EHP). In 1975, a group of church women joined with a group of East Palo Alto women to help with emergency food, clothing, and household items for families in East Palo Alto. This program has grown to include nutrition and health classes, holiday food baskets, and several parties for children. They also provide youth programs, computer access for youth, and many more services. Our church family also gathers canned goods, produce, and turkeys for Thanksgiving. This year, EHP has asked us to deliver all of our canned goods, produce, and turkeys by FRIDAY, NOVEMBER 20, 2015.